Our industrial pressure washer range in our cleaning equipment section offers high performance pressure washers to make cleaning jobs quicker and easier. These easy to use pressure washers include both cold water and hot water operation models, all of which offer high powered cleaning action on external building surfaces and can also be used to wash and clean a variety of vehicles. The high efficiency performance is suitable for everyday commercial use, and the machines can be adjusted for sensitive surfaces or high-impact abrasive cleaning. 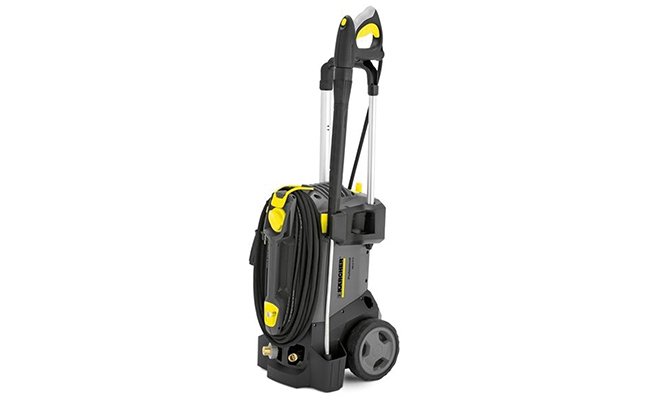 Pattersons Cleaning Equipment stock a comprehensive range of industrial pressure washers from brand leader Karcher and can offer help and guidance on any aspect of choosing your professional pressure washer. For any advice or guidance on selecting an industrial pressure washer or any type of cleaning equipment talk to Pattersons Cleaning Equipment on 0117 934 1270. With so many model of pressure washer available, even from the industry leading brand Karcher, there is still so many decisons to be made! Which pressure washer features may I find useful? What is the difference between my pressure washer I use at home and a commercial pressure washer? Why do Pattersons Cleaning Equipment trust Karcher? ... Whatever your cleaning appliance and equipment question - we are here to help! Karcher HD 728 B Cage Cold Water Pressure Washer. Karcher HD 5/12 C Plus Cold Water Pressure Washer.